Incoming PhD students should apply directly to the Brain and Cognitive Sciences (BCS) program in the Department of Psychology. The BCS program is great for students who do not wish to do formal lab rotations because they are interested in a single research area and lab. Matriculating into the BCS program means that a student is in the Smith Lab at the outset, but it does not preclude intra- and inter-departmental collaborations. Indeed, many of the ongoing projects in the lab involve other faculty at in the Psychology Department and also the Business School. Alternatively, prospective students may apply to the Interdisciplinary Program in Decision Neuroscience (IPDN), which is jointly administered by the Fox School of Business and the Department of Psychology. The IPDN option is good for students who wish to do formal lab rotations and keep their options open for a career in Business schools. In contrast to the BCS program, incoming students in the IPDN are not tied to a specific lab at the time of matriculation. Although the Smith Lab is not currently accepting students through the IPDN, the lab could serve as an option for a rotation project. Not sure about a PhD? 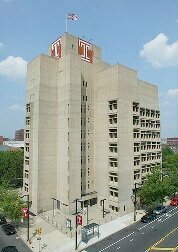 Temple also offers a MS in Neuroscience. If this sounds like you, please email the laboratory at DVSNEUROECONLAB@gmail.com (subject- “Undergraduate Research Position”) with a completed Undergraduate_Application and copy of your Curriculum Vitae. Please note that all incoming undergraduate students will be placed on a one-month probation period in order to determine their eligibility for the lab. Check out our lab manual!